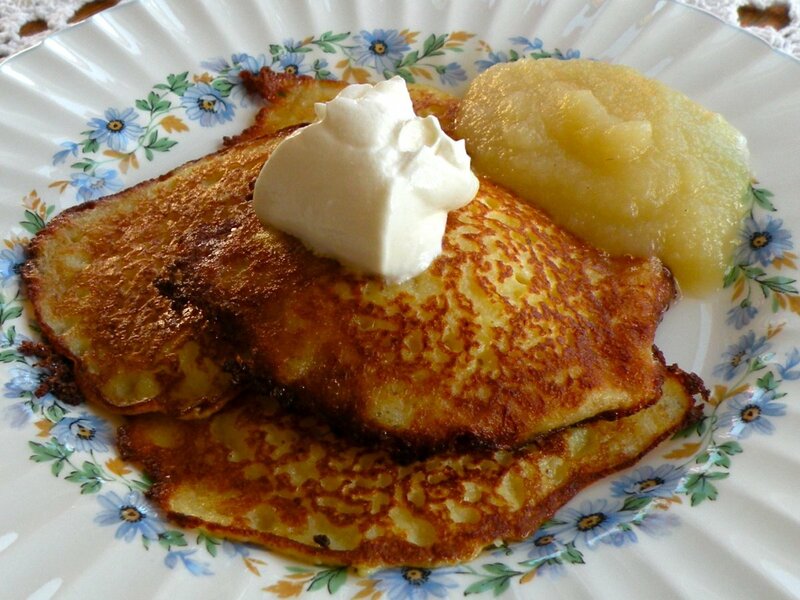 The number of different ways in which we can and do cook potatoes are many but even bearing this fact in mind, the recipes can still sometimes seem staid and repetitive. 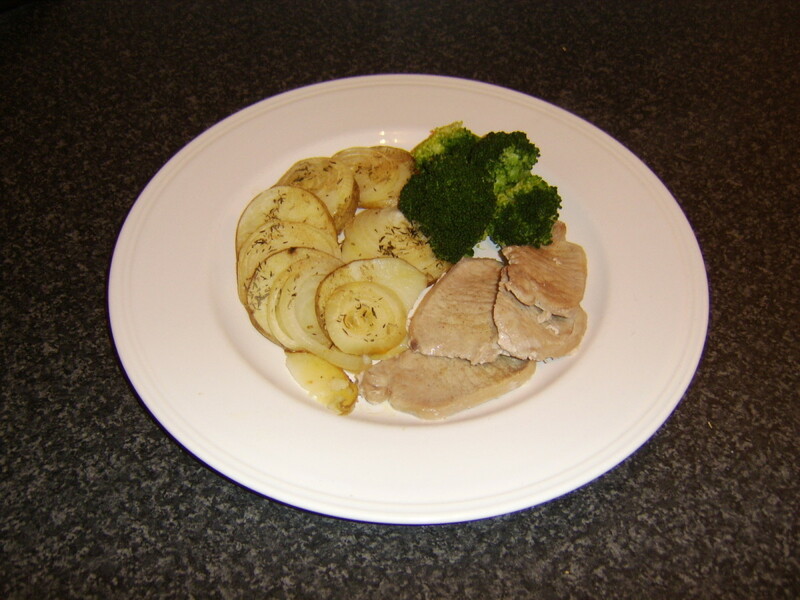 This site is devoted to looking a little bit further afield and considering even more different ways to cook potatoes. 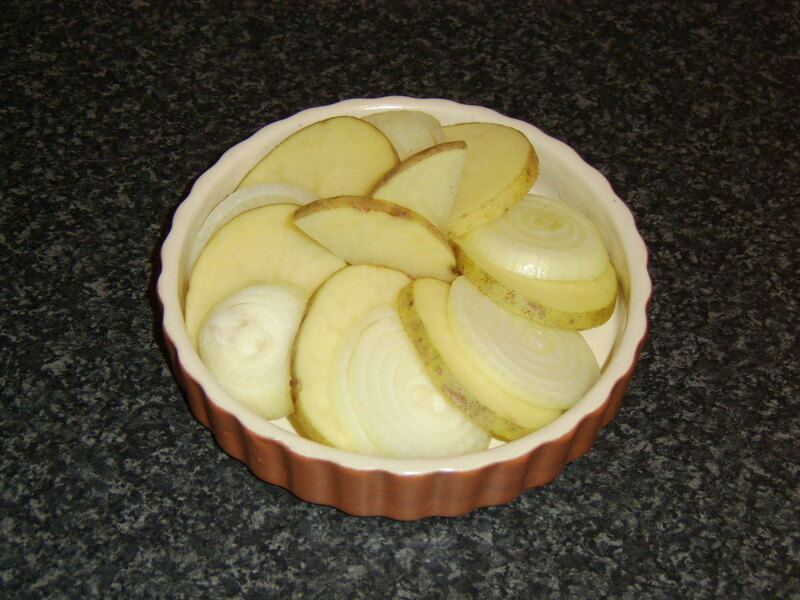 It will, however, also look at traditional ways of cooking potatoes, hopefully with an additional little twist which will improve on the established techniques. If you have any tasty suggestions for cooking potatoes which are not covered here, please feel free to share them in the comments section at the bottom of this page. Fondant potatoes have for some reason a reputation for being difficult to prepare. Nothing could actually be further from the truth. These fondant potatoes are prepared with a minimum of ingredients and are ready from start to finish in approximately half an hour. 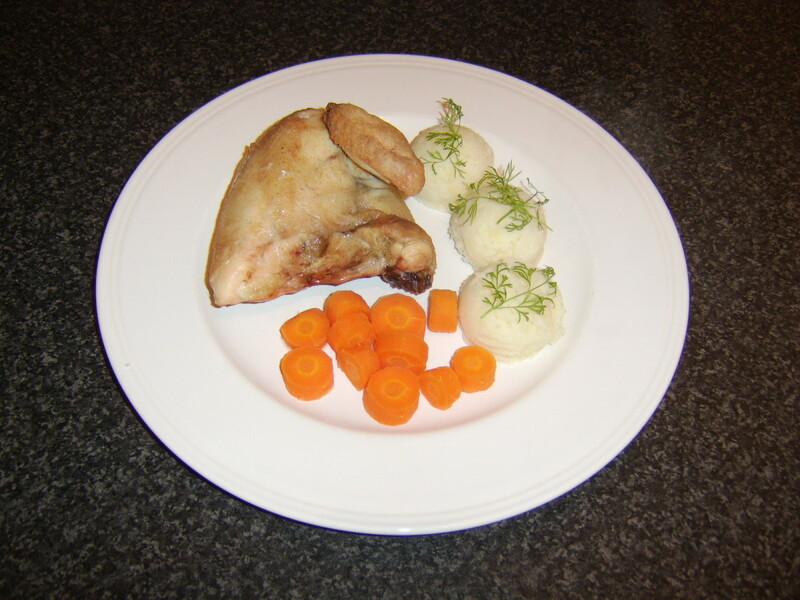 To make the fondant potatoes pictured above you will need two medium, floury potatoes, 4oz butter, 4fl oz chicken stock and seasoning. Put the butter in to a large pot and on to a medium heat to melt. Season with salt and white pepper. Peel the potatoes and try to get them uniform in shape, like miniature barrels. Half each of them across the way to have four slices, each about an inch and a half thick. When the butter has melted, it will sputter loudly for a couple of minutes. Wait for the noise to die down before very carefully adding the potatoes. 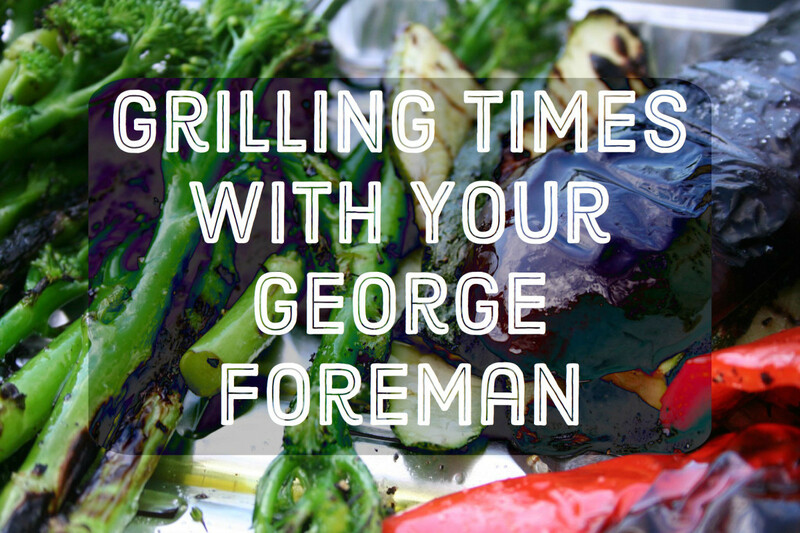 Cook for six or seven minutes, turn them with cooking tongs and cook for the same length of time on the other side. 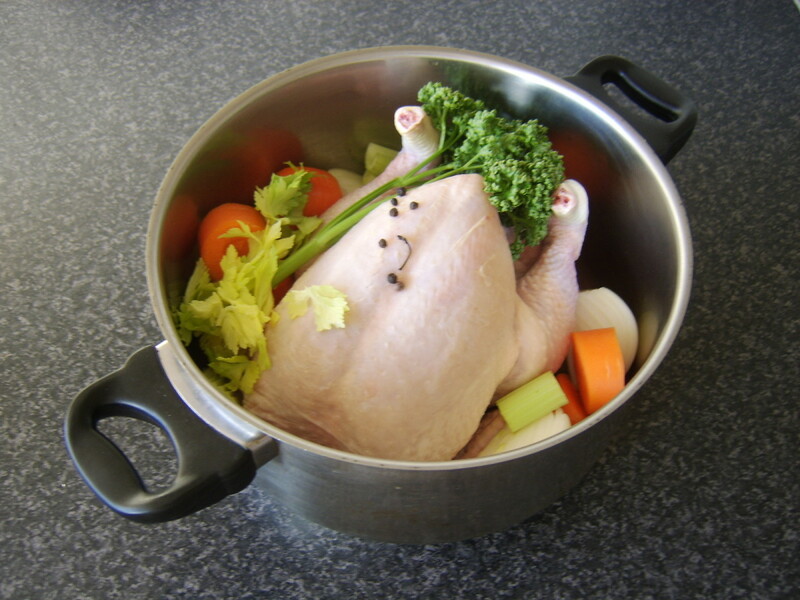 Considerable care is needed when the chicken stock is then added as it will spit considerably. Bring to a simmer, cover and leave to cook for fifteen minutes. A metal skewer can be used to check that the potatoes are cooked all the way through and they can be served immediately. 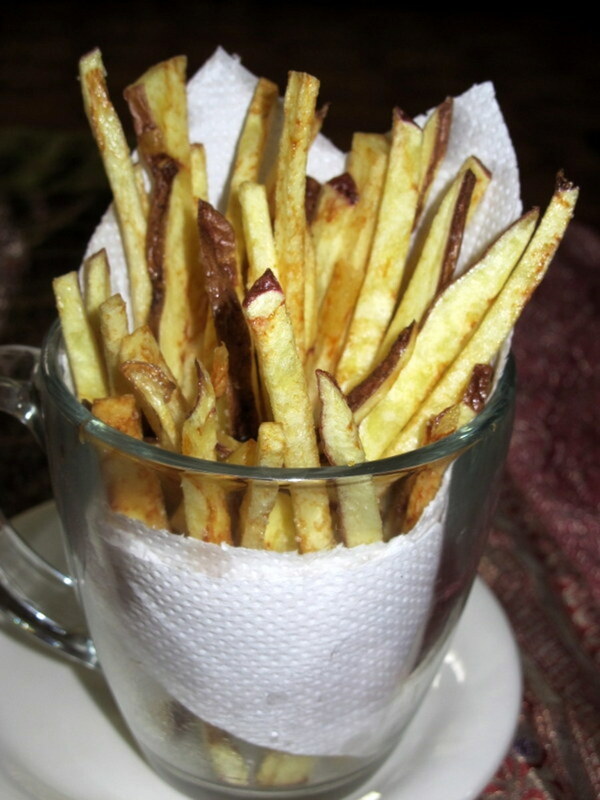 Chips or French fries are for some simply sliced and chopped potatoes, deep fried in fat or oil. 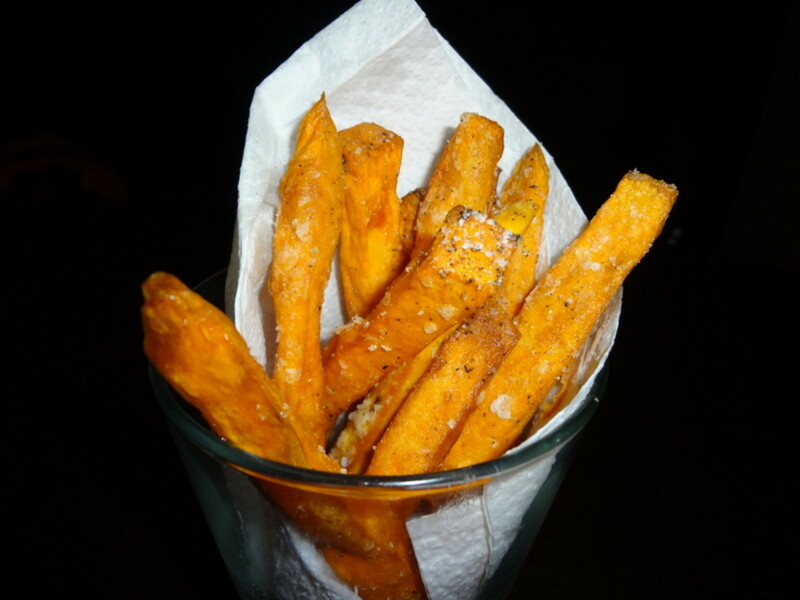 If you want to take your chips or fries to new levels, however, you should try this cooking method devised by British chef Heston Blumenthal. It involves cooking the potatoes in three stages and makes for deliciously crisp, golden chips/fries on the outside and fluffy and soft on the inside. The potatoes are peeled, sliced and chopped to size. 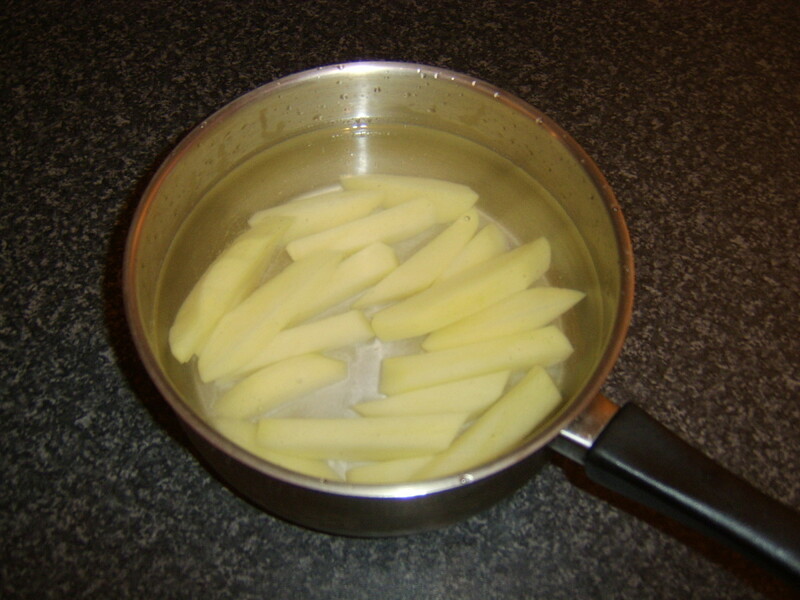 They are firstly added to a pot of cold water and the pot put on to a high heat until the water boils. The heat should be reduced and the potatoes simmered for five minutes only. They should be drained, covered and allowed to cool. (Submerging them briefly in cold water expedites this process.) 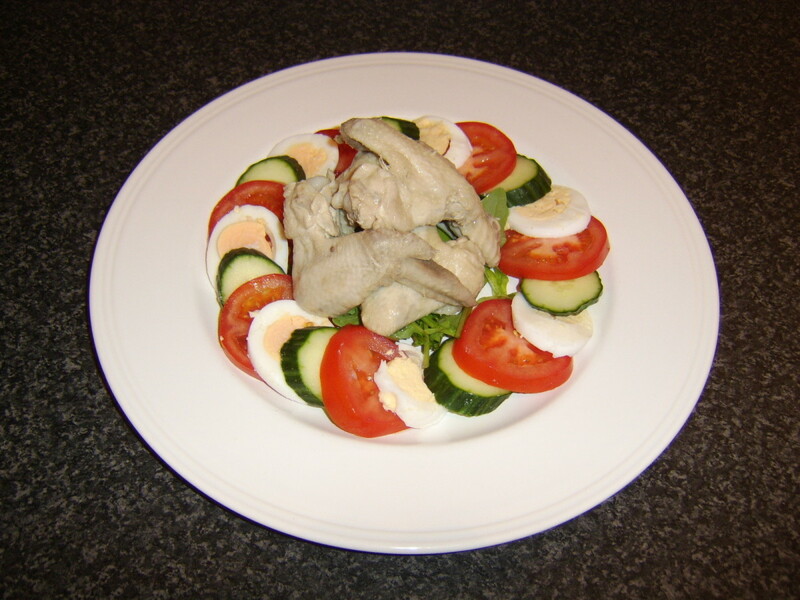 They are then placed in a plastic dish with a lid and in to the refrigerator for at least half an hour. 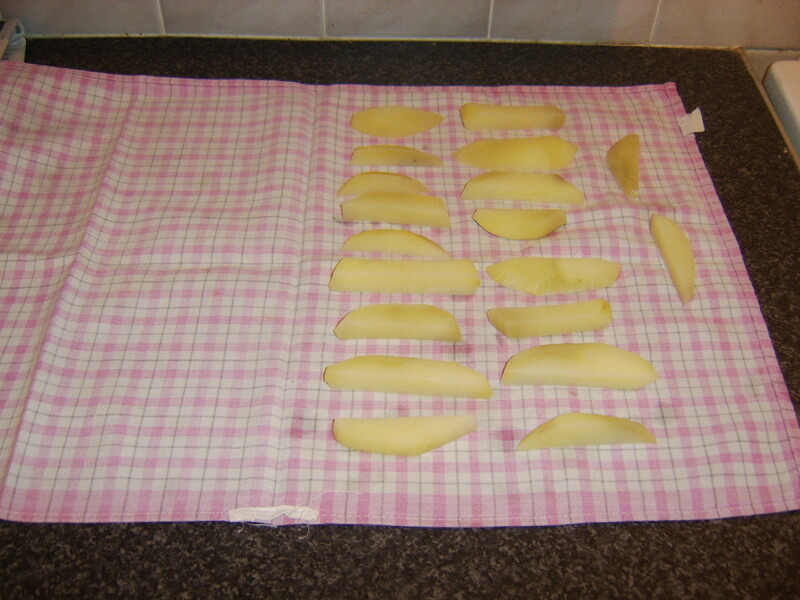 The second stage of the process involves firstly patting the chips dry in a clean tea towel. They are thereafter deep fried for five or six minutes at a moderate heat. They should not at this stage have begun to take on colour. Drain them on kitchen towel, cover them and leave them to cool. It is then back in to the dish and the refrigerator for again a minimum of half an hour. The chips are finally given their second deep fry for up to seven or eight minutes, until beautifully crisp and golden. Drain them again on kitchen paper and serve immediately. 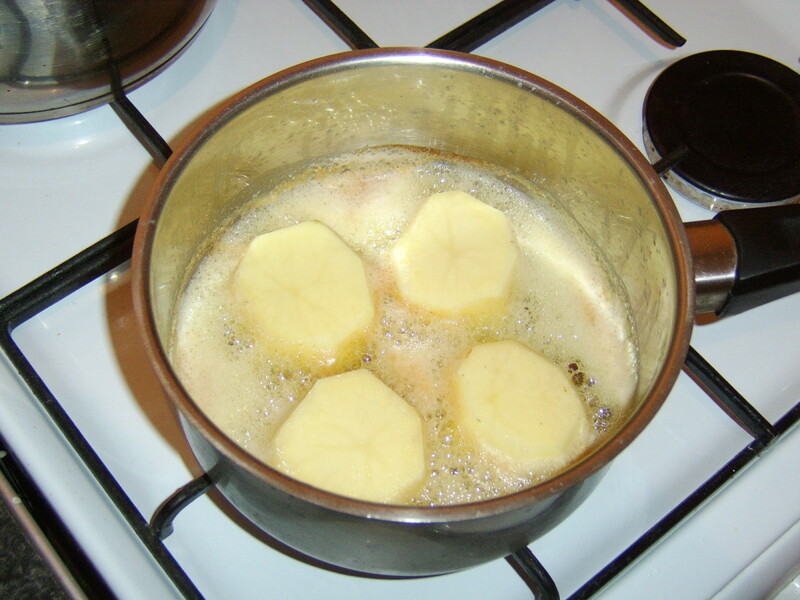 Mashing potatoes is an extremely popular way of serving them but simple mash, with only salt and butter or cream added, can be extremely bland. These mashed potatoes have also been mashed with grated garlic and white pepper for a little extra flavour. 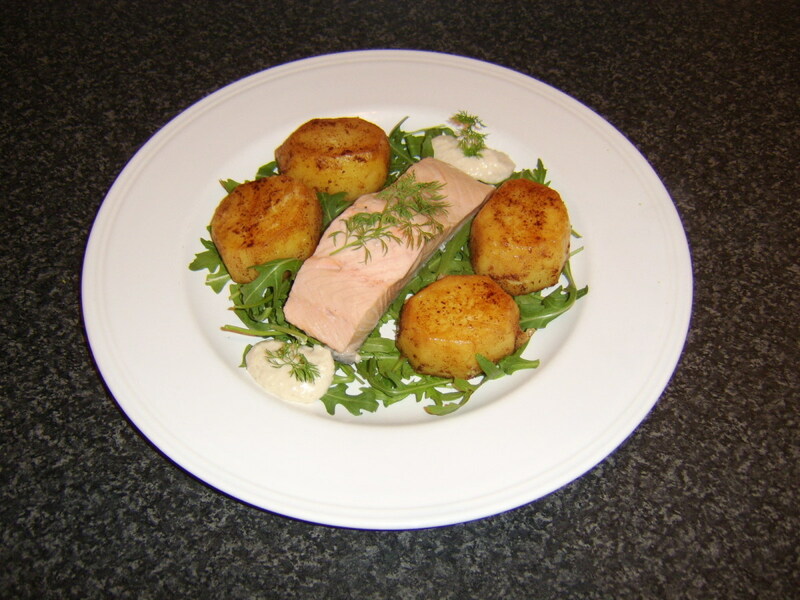 They are then plated with an ice cream scoop and some fresh dill - excellent with potatoes - is used as a final garnish. A perfect accompaniment to freshly roasted chicken and lots more besides. This is an incredibly simple yet delicious way of cooking potatoes. 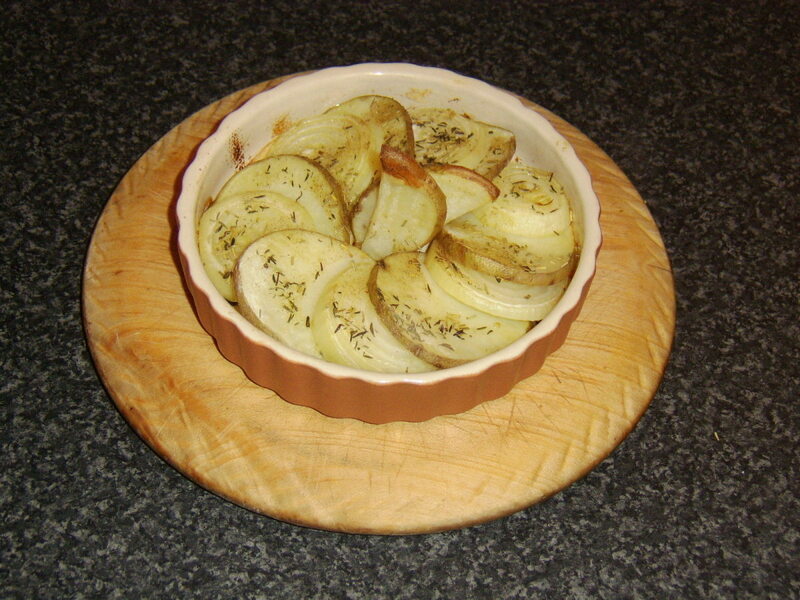 It requires one fairly large potato, a similarly sized onion, a pinch each of dried thyme and rosemary, salt and white pepper and olive oil. The potato should be thoroughly washed but not peeled. The onion should be peeled. They should both be sliced to a thickness of about a quarter of an inch, before they are arranged alternately in a stone or other ovenproof dish. The herbs and seasoning should be scattered over the potato and onion before olive oil is drizzled liberally over the top. Bake in an oven preheated to 400F/200C/Gas Mark 6 for forty to fory-five minutes. 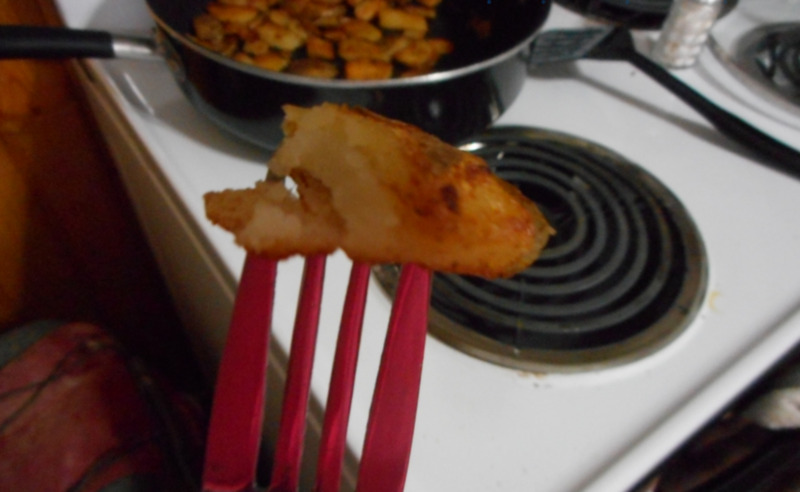 Use a skewer or the point of a sharp knife to ensure the potatoes are soft. Use a spatula to lift them on to a plate and serve immediately. 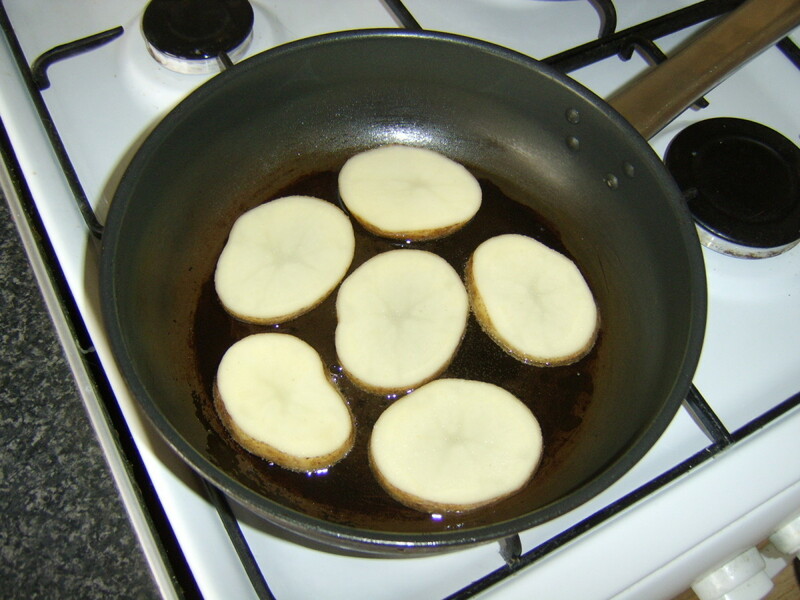 This method of cooking potatoes is of course very similar to the baked potato slices above but on this occasion they are pan fried in sunflower oil. Slice but don't peel the potatoes to a thickness of a quarter inch. Season the slices well on both sides with salt and white pepper. Bring some sunflower oil up to a fairly high heat in a non-stick frying pan and fry the potatoes for seven to eight minutes on each side over a medium heat, or slightly less if you prefer them paler in colour. The eggy bread that I have served here is prepared in a separate pan. 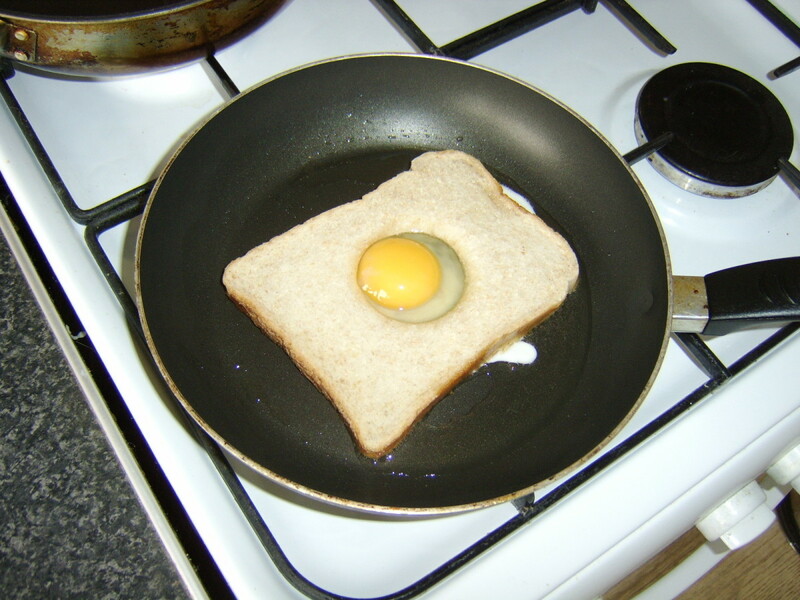 I cut a hole in the centre of the bread with an egg cup and add it to a pan of heated sunflower oil. 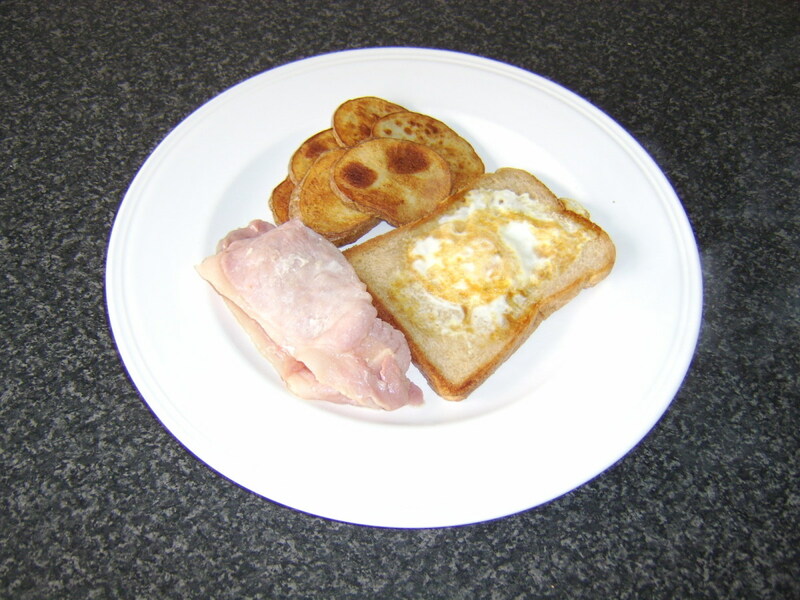 I break the egg firstly in to a small bowl and then pour it over the bread, carefully ensuring that the yolk goes in the hole. 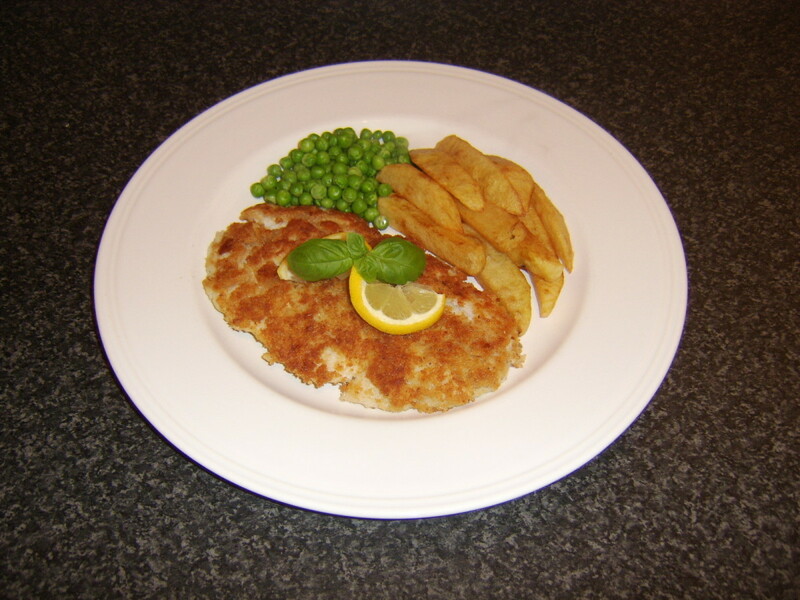 This is fried for three minutes each side or to preference. How do you like your potatoes cooked and served? Sounds absolutely delicious, Betty. I'll definitely give that one a try! Thanks for the tip. I agree, LittleFairy. Delicious and versatile. Thanks for the visit and the comment. Thanks, Alicia and Taj, for your visits and comments. So far as I know, fondant potatoes are more popular here in the UK than in North America but I would certainly recommend anyone to try them. They can also be done in the oven, as well as on the hob. Great hub! I learned a lot from this. I'm looking forward for more discussion about baked potatoes. You have some great ideas for cooking potatoes. Several of the cooking methods are new to me. Fondant potatoes sound interesting - I’ve never heard of them before. Herb potato with onions sounds delicious! Thanks for the instructions. Thanks KoffeeKlatch Gals. I hope you like them. The fondant potato look good. I'm going to have to try them. fondant spuds sounds good. Try Ghee instead of ordinary butter, you can cook slightly hotter with it and it does not brown if you over do it. 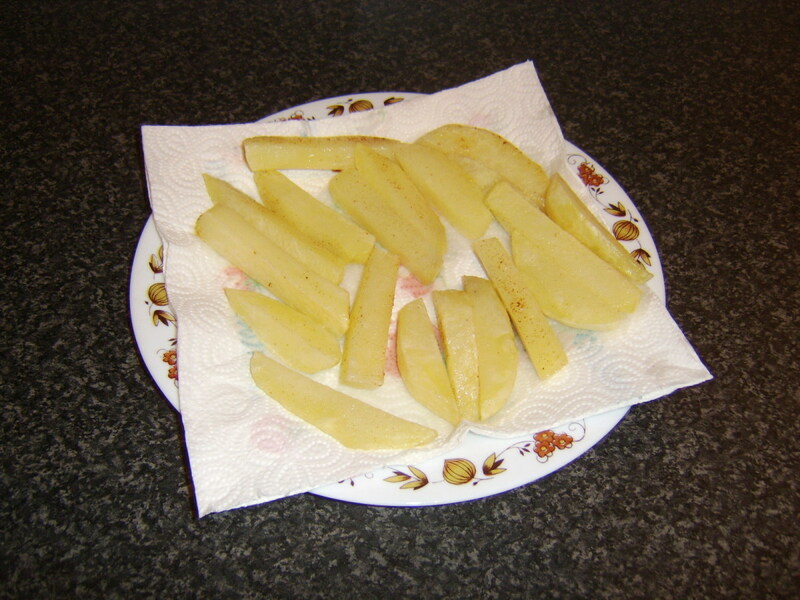 another idea; cut potatoes into slices and cover with salt for twenty minutes; wash and dry them really well. 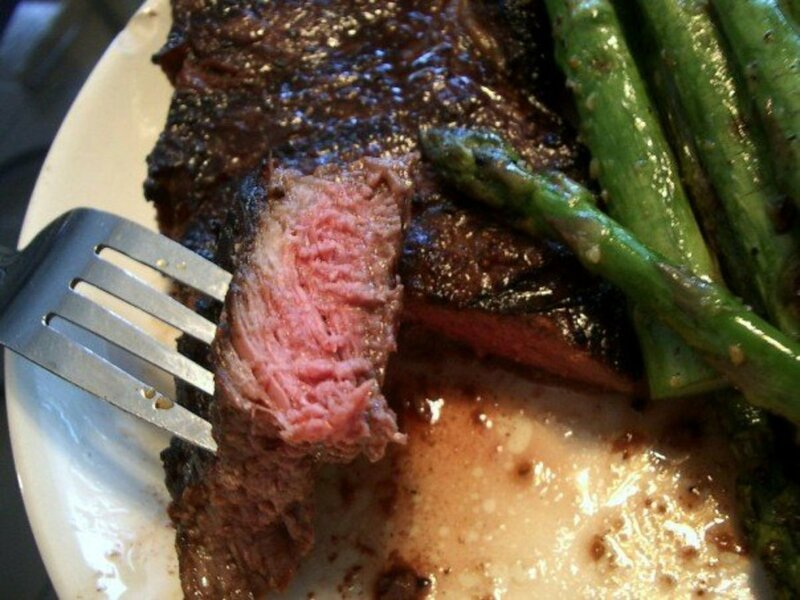 you get a real crispy dark brown finish which is great with barbecues and steak. Thank you, Dirt Farmer for your comment and your visit. I very much hope that you do try the fondant potatoes and enjoy them as much as I do.